For most families or property owners, the purchase of a home is the largest investment they will make in their lives, possibly lasting generations. With that idea it’s extremely important that the owners look to re-invest in their property through renovation or remodeling projects that will ensure that in the future their home keeps or potentially increases its re-sale value. That’s why if you live in a home that you are very attached to, that you don’t want to outgrow, constructing an addition will help you and your family cement your stay. Step 1-Decide on square footage and size of the room. When planning to build an addition to your home, it is important to decide on the square footage you will be adding to your home. Knowing the size of your planned addition will help calculate the expenses that coincide with room size, such as wiring and plumbing. This leads us directly to our next step. 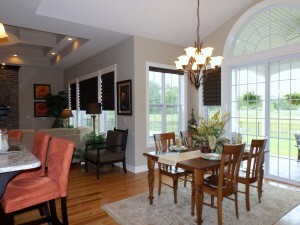 Step 2– Figure out what fixtures you plan to add to the room. Decide what fixtures you plan to add to the room addition. For example, If you are planning on making a bathroom addition, knowing what appliances or fixtures you will want will give you a more accurate estimated cost for the room addition. Remember, mechanical stuff such as your furnace, water heater and electrical panel all must be revisited when doing additions as well. Step 3-Calculate costs in advance. Decide on the other construction needs you’ll need to purchase to build the room addition. 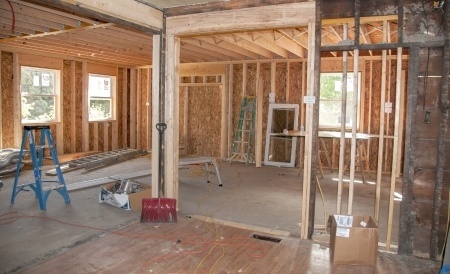 This will include lumber, paint, flooring and any other structural elements of the room. Determine how much of each material you will definitely need to complete the project, and add those costs to your appliance costs to get a rough estimate for your total materials costs. Every cost associated with the home addition should be calculated before hand to make sure you can afford the addition. A good addition to your home should blend with the original structure. Don’t head into a home addition without knowing what style your going with. If you have space restraints, consider building up or out so you don’t add to your homes footprint. Bumping out is a popular way of making an addition, where you hang the new room off the side of the home. Choose an addition style that maximizes your homes potential. Step 5– Make sure you are building your homes value. A home addition can lead to additional taxes. When you make a home addition successfully, your homes value should increase. If the value your home will build because of your addition is less than the cost of the addition, re-evaluate whether it is wise to make the addition. Since 1962 new homeowners, expanding families, retirees and many others across Central New York have trusted Merle Builders to construct their perfect home. At Merle, we specialize in customization, elegance and perfection. We build each and every home according to your exact needs. From sprawling two-story townhomes to single-story patio homes and much more, we construct and design each property according to your lifestyle, not the other way around. For more information, contact us today!